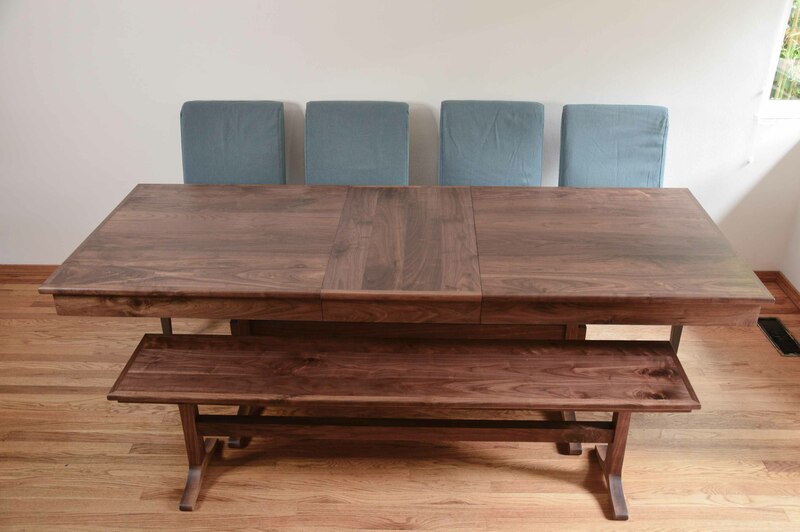 Extendable Dining table made of solid North American Black Walnut. Finished with durable & food safe Osmo Wood Wax. 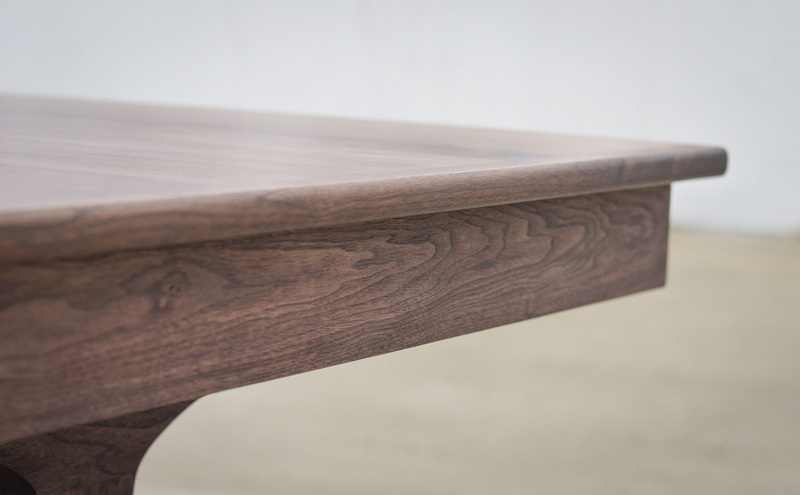 Minimal trestle design feels at home in a wide range of design aesthetics. Closed Dimensions: 72″ Long x 36″ wide x 30″ tall. 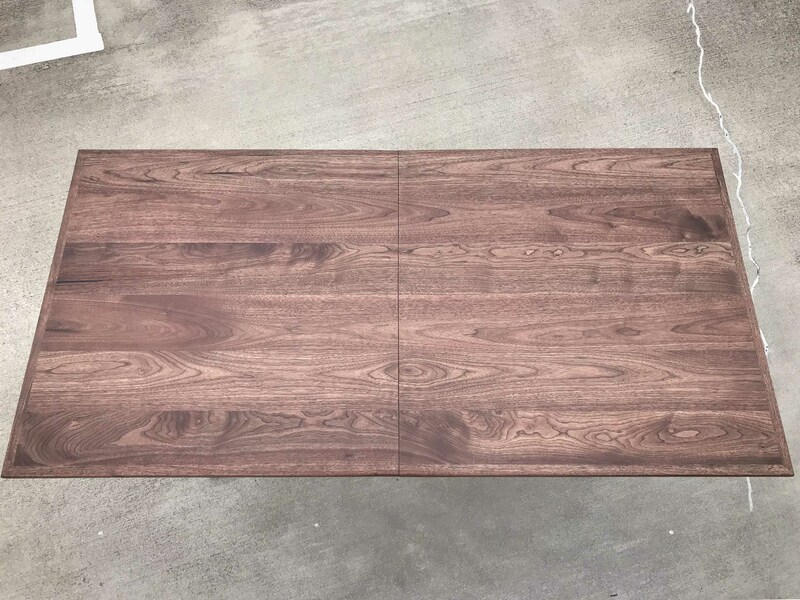 Two 20″ wide leafs can be used individually, or in tandem to make table 112″ long. 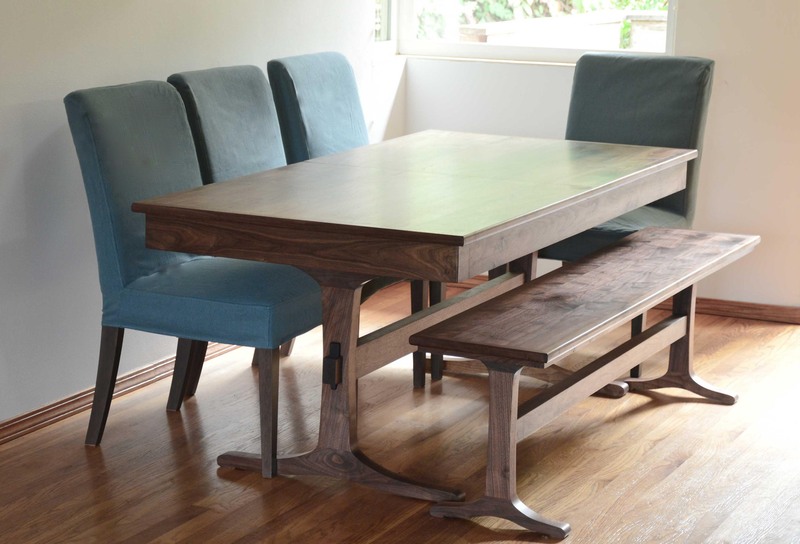 Note: This page is for the non-extension version of the “Porter Trestle Table.” Leafs cannot be added at a later time. 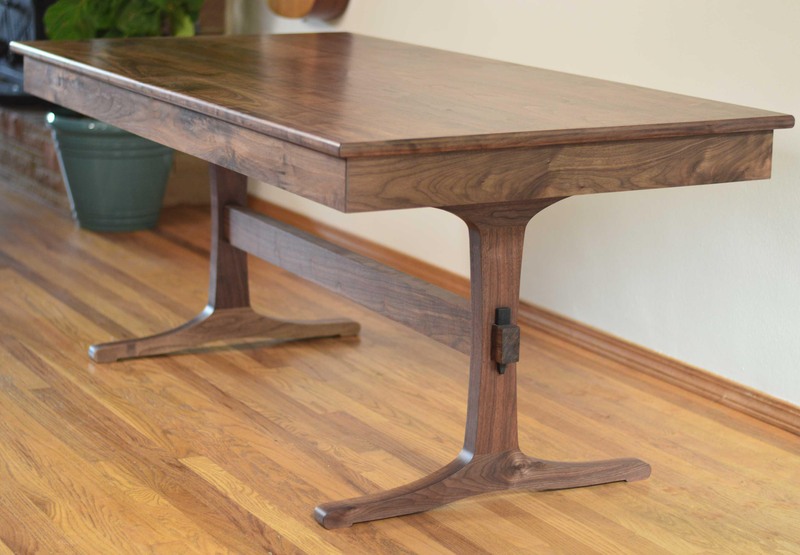 For the Porter extension table see here. 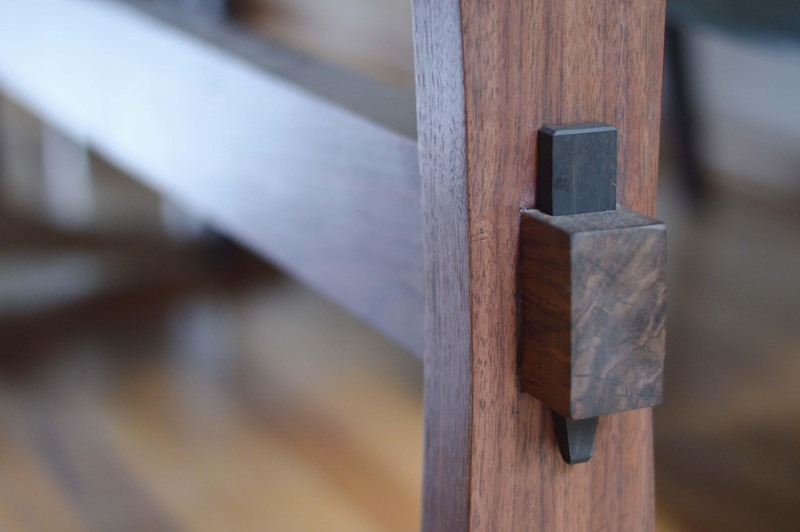 “Porter” is an old-english surname meaning “door opener” (and also the Maiden name of our co-founder). 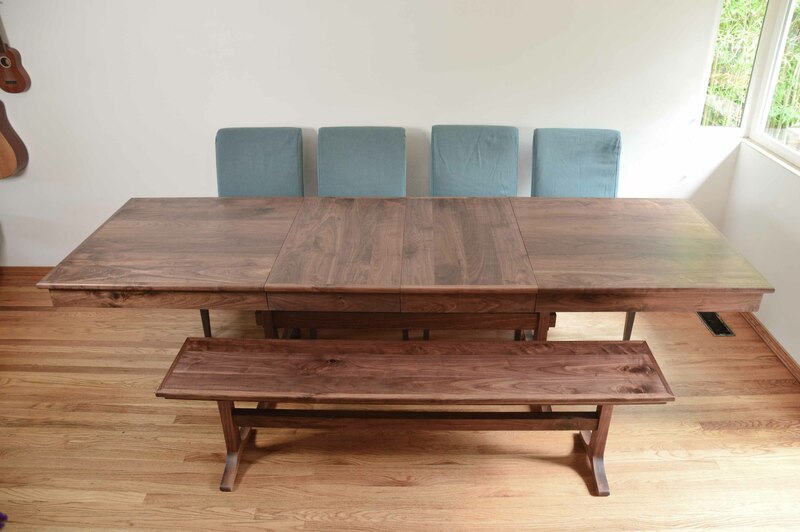 We designed this extending table to last for generations, to grow with your home, and to be at the ready for many open door gatherings. 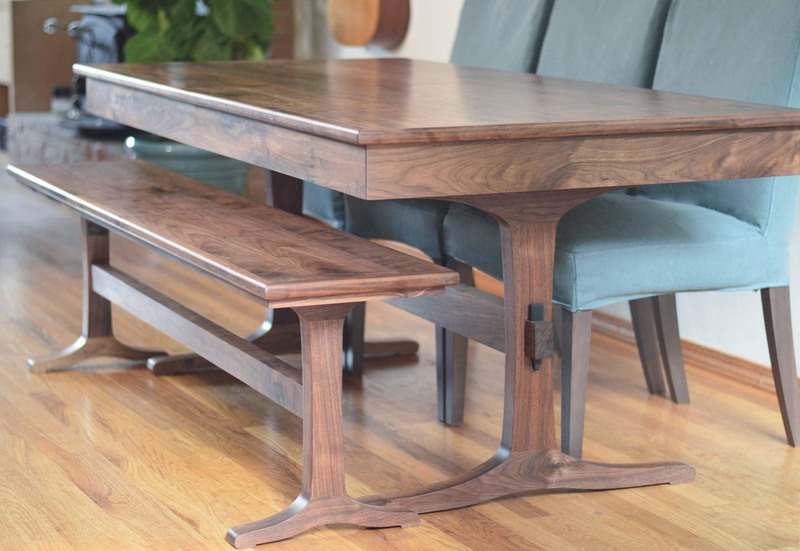 This modern yet timeless trestle design compliments a wide variety of decor styles, apartments, condos, and homes. 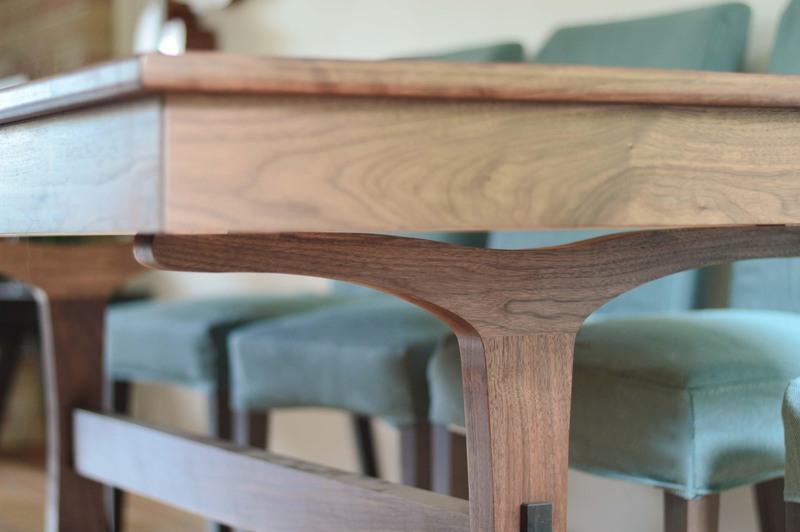 Made entirely of solid black walnut hardwood chosen for its consistent grain and color, every detail of this table is given the upmost care and attention. • Finished with non-toxic OSMO Polyx Oil: durable, natural, waterproof and safe for food and skin contact. 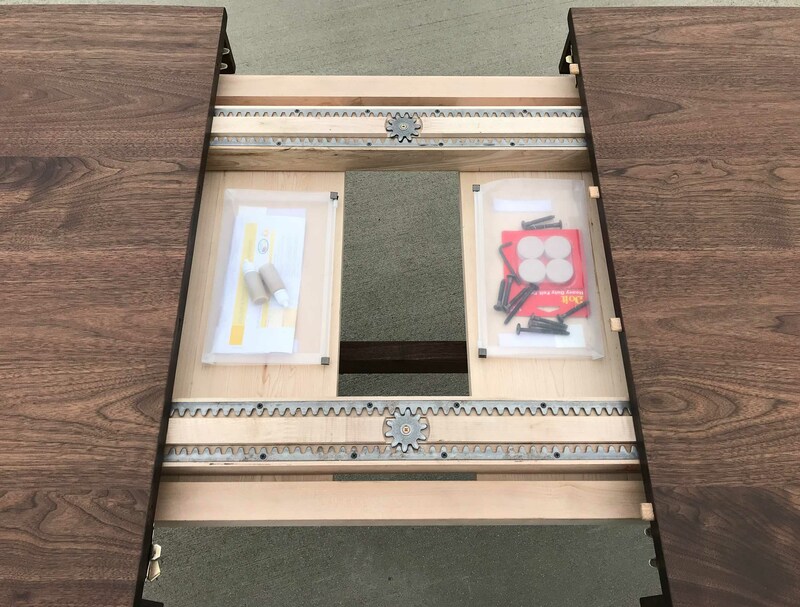 • Each table is made to order, please allow 6-8 weeks for delivery.